Are you working in a tough environment? Do you need special equipment to get your job done? 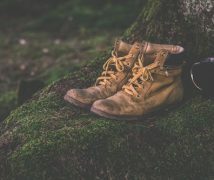 Assuming you’re looking to find a pair of reliable and comfortable work boots, there are a few things to look out for in terms of the protection. Tough workplaces require some equally tough boots, but there are different factors to take into account. Where are you working? What are the main risks? What are your main tasks? If you’re working outdoors – what’s the weather like? 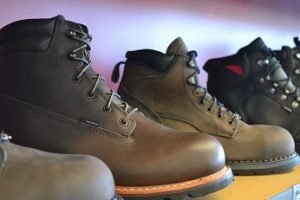 These are all equally important questions to consider in order to select the right boot protection. Steel toe cap work boots are one of the most popular choices available out there. The main reason is that steel is such a pervasive material and easy to find, making it usually cheaper. Besides that, it is also one of the most resistant materials on the market, so the protection it offers is top notch. However, take into account that a very hard toe cap doesn’t necessarily have to be made out of steel. But if you’re looking for increased protection in highly risky work conditions, I would highly recommend choosing a pair of steel toe work boots. If you’re working in constructions or with hard equipment, operating heavy machinery and always prone to injury, steel is definitely the material for you. You’ll be less likely to get injured by heavy, falling objects, and you’ll also be well guarded against chainsaws or grinders gone wild. The disadvantage is that steel is particularly heavy, so it’s not extremely comfortable if you’re always on the move. Besides, it’s not the best choice if you’re working long hours in hot and humid environments, considering how heavy and uncomfortable these boots can get. It’s also not a good idea to wear these boots in extreme cold, as your feet will likely turn into the Ice Queen’s minions at once. Steel is obviously a metal, so another downside is that it conducts electricity, meaning you can’t use it in workplaces with electrical hazards. Plus, if your job implies a lot of flying, that airport alarm is definitely going to buzz furiously. This is a really good alternative if you’re discouraged by the sheer weight of steel. If you’re putting comfort on top of your priority list and don’t mind paying a little more for that, the alloy is a great toe cap material. Alloy-reinforced work boots are very resistant and protective, with an approximately 40% lower weight to think of compared to their steel-toe counterparts. That translates into a thinner toe cap, meaning that you have more space inside the shoe to wiggle your toes around. 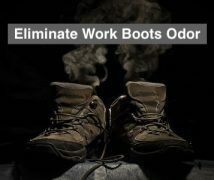 It also makes your boots lighter, which is great for prolonged periods of time on your feet. There are different types of alloys to consider here, the most common being aluminum and titanium. Aluminum is cheaper but heavier and less resistant than titanium. However, both are great options for tough work environments like construction sites. Besides, both steel and alloy can protect your feet against compression and heavy falling objects, but alloy can’t rival steel when it comes to grinders and chainsaws. And since alloy is basically made of metal, it conducts electricity too, so you can’t use these boots in workplaces prone to electrical hazards. Unlike the other two options above, the composite isn’t a metal, therefore can be used by workers operating in an environment with electrical hazards. It also means it’s way lighter than the metals we’ve previously talked about, so you can move around more easily with this sort of boot protection. And remember those pesky airport alarms? You won’t have to worry about them with composite-reinforced boots. All these are light and usually comfortable while offering a decent protection. But composite toe caps are better for light work environments with little risk of heavy objects actually falling on your feet, even if they can pass the majority of safety requirements in place. Plus, these boots are amazing for working in hot, humid weather, thanks to their good heat tolerance. The same can be said for lower temperatures, meaning you might like composite shoes best if you’re not working in a place at high-risk for accidents, that’s also outside. To sum up our list of options, the soft toe protection is made mainly from reinforced leather or plastic and it is the most comfortable one. However, it can only offer the minimum protection against various injuries that might occur in the workplace. So if you’re not working in a dangerous environment and you don’t need protection against compression, you might really enjoy this type of protection. Plus, they come with some nice features, like their ability to provide protection against electric hazards, ignition of explosives and punctures. 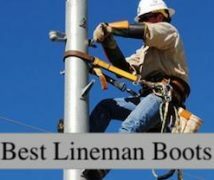 As an example, boots with a soft toe protection are great for electricians. Besides, since they’re thinner and have a bigger toe box, they’re also easy to wear in very warm or cold environments. Both leather and plastic are good insulators and they’re likewise quite durable. On the other hand, if you’re at risk for electrical hazards, the composite is the only material that provides 100% protection, though the soft toe caps offer some EH protection too. The other two metal-reinforced toe caps we discussed above might still offer some protection against electricity if they’re covered by non-conductive materials like rubber or leather. Still, make sure these boots have the proper electrical hazard-resistant certification. Depending on how much you have to move around, the lighter boot protections are also the best. So composite-reinforced boots are great if you’re walking for hours at a time on a constructions site, while soft toe caps are great for long hours standing in a very safe environment. Otherwise, a more static work environment prone to a lot of risks might require you to choose a heavier and more protective material. On the other hand, if you’re doing a lot of climbing, you’d better go for the middle option like alloy, which is light enough but still protective. If you’re working indoors at a normal temperature range, steel can work just fine. However, if you tend to work in an extremely cold or hot environment, composite or soft toe caps are, by far, the most comfortable. At the same time, if you’re in a risky environment that’s very hot, you might be better off with alloy toe caps. Conversely, if you’re in a dangerous workplace that’s colder, alloy or soft toe caps work best. That said, make sure you’re not working near electrical hazards or that your shoes offer a good EH resistance, respecting the safety standards in place. We’ve taken you through a series of great materials to consider as your work boots protection. We’ve also explained all their advantages and disadvantages, as well as how they can help you meet the daily tasks of your job. Hope you’ll find this information useful and if there’s anything else you want to know, please let us know in the comments box below! Until next time, stay safe while feeling comfortable!